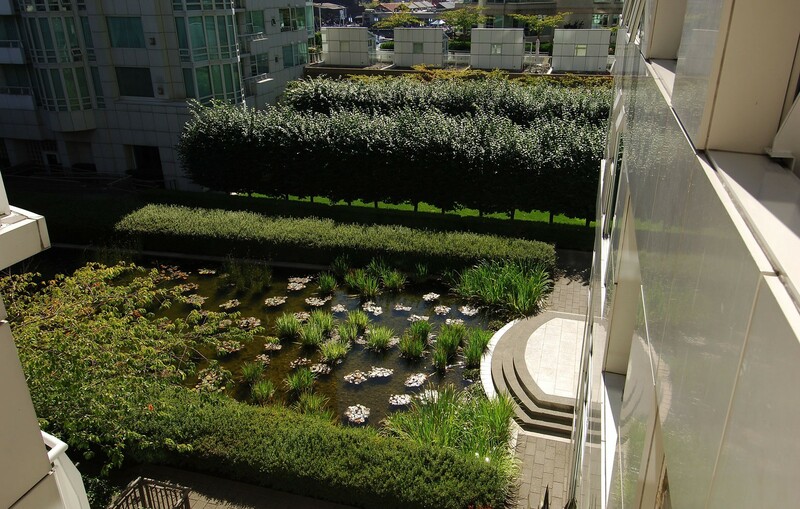 PFS Studio created a bold landscape composition for 888 Beach Avenue, a distinctive multi-family residential development in Vancouver’s Southeast Granville Slopes neighbourhood. 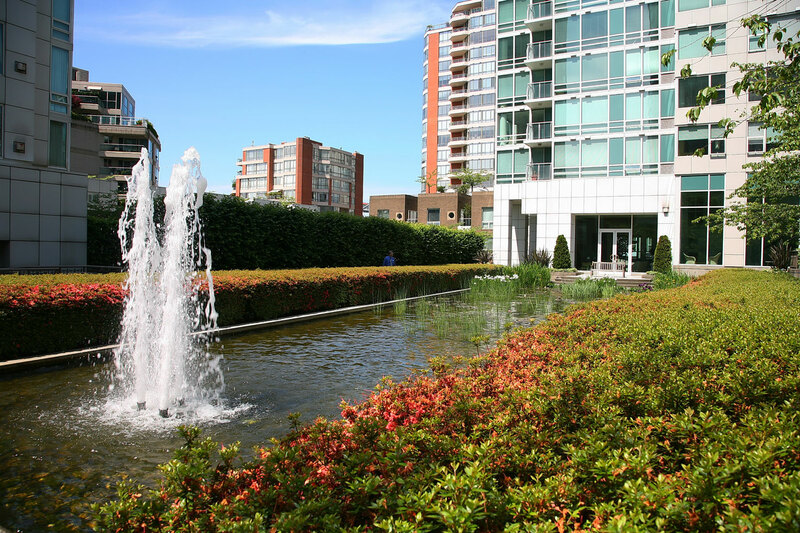 The public streetscape of this development was one of the first in Vancouver to implement townhouses at the base of a high rise tower and is recognized for its street level detailed design. The interior private open spaces utilize false perspective to enlarge the apparent size of two sophisticated garden courtyards, one with a formal lawn and one with a reflecting pool as their focus. 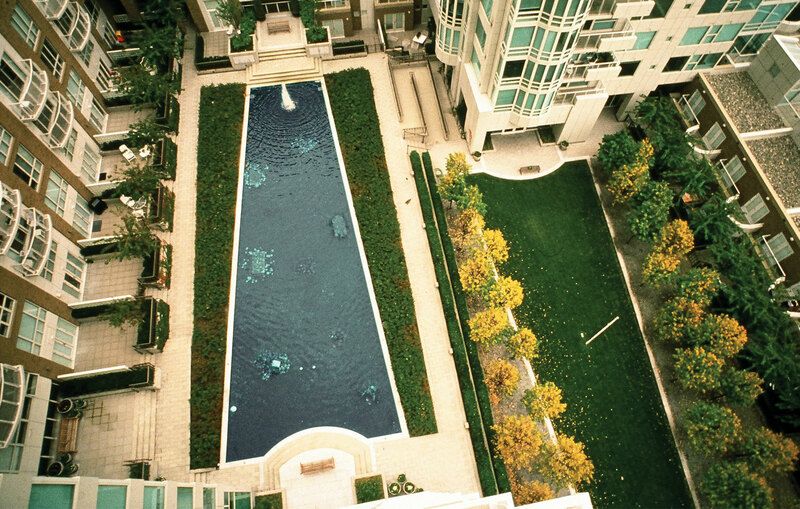 The point tower/podium composition became a precedent in Vancouver for the following 20 years and still continues to be favoured by many city planners and citizens alike as it meets density targets while providing ways to ensure sunlight penetration, pedestrian scale, and the protection of views. 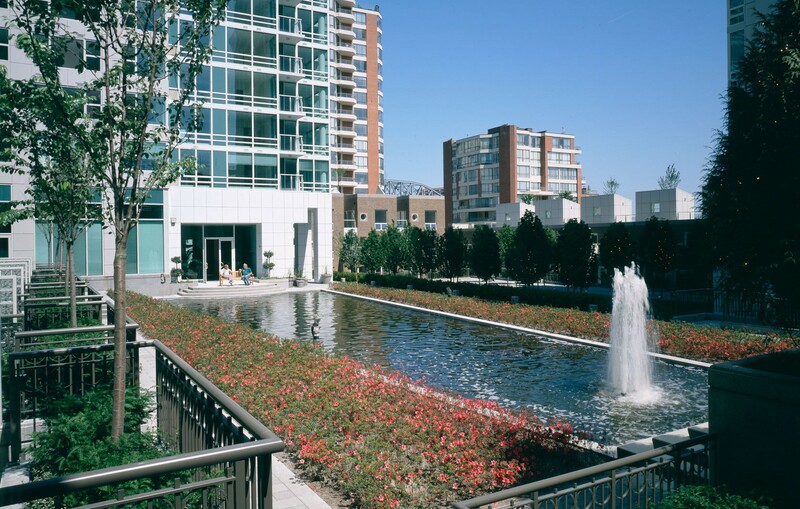 Through strategic open space design , it contributes to a much greener, more welcoming and active streetscape.